If you live in the United Kingdom and have been jealous that your North American friends can play fantasy golf for real money...then there is good news for you! 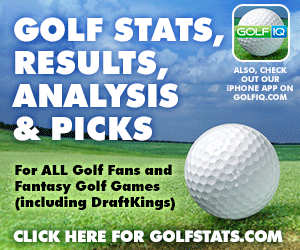 The biggest site in Fantasy Sports is now offering golf contests for UK residents - DraftKings.com. We always receive emails and social media questions asking us "I live in the UK, can I play at DraftKings?" and up until recently the answer was sadly No! But that has now changed - In August of 2015 DraftKings was granted a license to operate in the UK and on February 5, 2016 DraftKings officially launched games there. 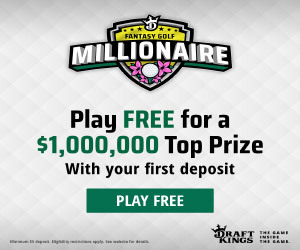 Given we are one of DraftKings biggest partners in promoting fantasy golf, we have a special bonus for all new players to DraftKings from the UK. Sign up using the UK DraftKings links on this page and when you make your first deposit to play (Minimum $10) you will get a FREE Contest Ticket to play in a fantasy game of your choice with a prize pool in the hundreds of thousands of British Pounds! We are partners with DFS sites like DraftKings and receive a small compensation for new players joining through our links which helps us to provide quality content to our followers.